Taking to the field across the continent on a Wednesday night were the second part of this season's Champions League cast, featuring the reigning champions, two London clubs, German juggernauts and more. Things hardly went as expected in a dramatic night. The Gunners took a shock loss on their away trip to Dinamo Zagreb while Chelsea impressed much more, battering Tel Aviv at Stamford Bridge for some much needed confidence. The Germans impressed meanwhile with Leverkusen and Munich winning comfortably, while the reigning champions Barcelona had to settle for a draw. Here's all the action from the second night of the opening round of the 2015/16 UEFA Champions League group stage. Reigning champions Barcelona walked away from the Stadio Olimpico with just a point after a resolute defensive display from Roma which made it a hard-fought draw for the Italians. 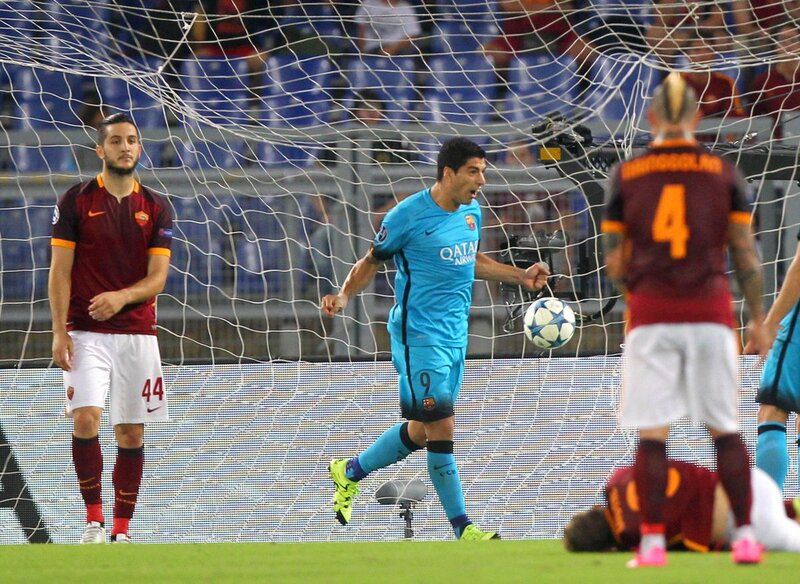 Luis Suárez eventually broke through when he headed Ivan Rakitić's cross right into goal from close-range, but that lead would soon be undone at the hands of a stunning strike from Alessandro Florenzi a mere ten minutes later, letting fly a few strides after the half-way line to pencil in a classic in the tournament. 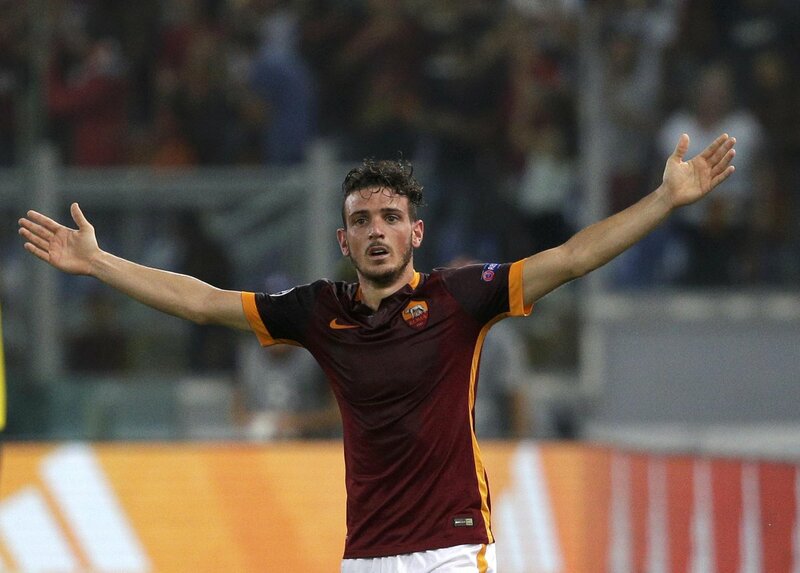 Despite piling on the pressure in the late stages of the game in Rome, the Catalans were unable to find a winning goal and it ended up being a more conservative than expected start to their attempted defence of the prestigious prize—while it was an uplifting result for Rudi García's club, who's hard work reaped great rewards as they kept the fierce attacking disposals at bay even with Messi reverting to the role as playmaker. 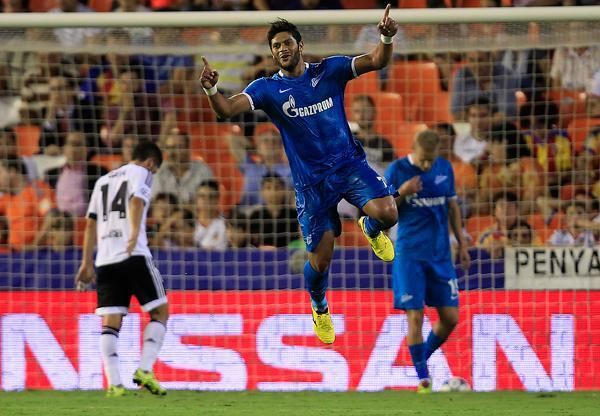 Valencia and Zenit stole the show on the night's action with a five-goal thriller in favour of the Russians in an amped up Mestalla. That noise would decrease after just 9 minutes when Hulk blasted past the keeper from a tight angle at the hands of a ferociously fast break from the visitors, a big bow right after Valencia hit the post from João Cancelo's effort. Sustaining their lead right up until the stroke of half-time, the Brazilian would go further with a sublime strike from around 25 yards, breaking into the roof of the net. There was hope to grasp on for Valencia though, as Cancelo slotted his effort past the keeper to really spark the Mestalla into a cauldron. The Spaniards were the benefactors of that, feeding off the energy for Andre Gomes to barge through Zenit's resistance, finding space out wide in the area and somehow creeping it past the keeper. The game would be on level terms for just three minutes though, because Axel Witsel's ultimately winning goal decided a spectacular game in suitable fashion. From outside the area, he controlled it and then drilled it low into the bottom corner to put Zenit ahead. They would keep it that way and after a strong showing from both sides, it was the travelling side heading back home with plenty of momentum. 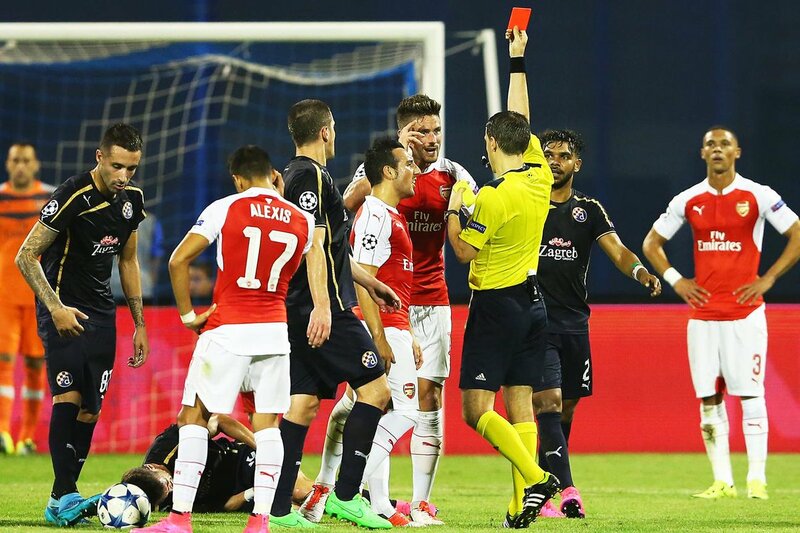 Dinamo Zagreb held on against a shorthanded Arsenal side to open their Champions League campaign with a victory over the North Lodnoners. Josip Pivarić would cap off a somewhat experimental start for Zagreb, as he capitalised on Ospina's parry to blast it home. A second yellow to Olivier Giroud would really axe a presence up front as Arsenal conceded again this time from a corner, despite Koscielny getting to it, Fernandes powered it past the keeper to really put the hosts in a commanding position. There would be a nervy finish though at Stadion Maksimir as Theo Walcott made an early impact by getting in behind on the counter and sliding it under the keeper, but Arsenal didn't have enough to test them further. It is a concern for Wenger as his side slips away in a winnable opening game, while this could be a dream run beginning for Dinamo Zagreb—they have the wind behind their sails following this one. 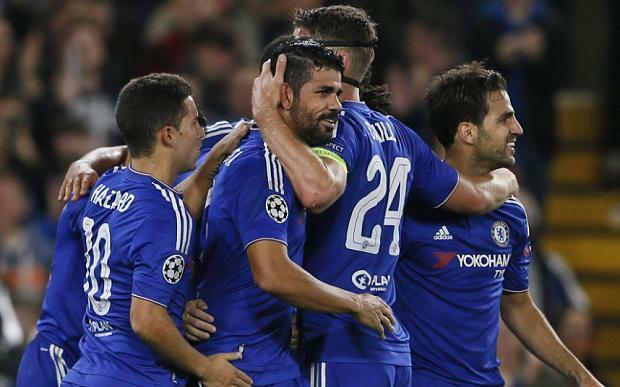 Chelsea found some much needed success following their Premier League stumbles as they Maccabi Tel Aviv at Stamford Bridge. Confidence remained an issue for the Blues though, with Eden Hazard uncharacteristically skying his penalty kick after Willian was cheaply awarded a penalty when he went down in the area. That was the end of Tel Aviv's luck though, as the Brazilian delivered a free-kick from deep which somehow went over all the traffic and crept past the keeper, and the game was really in favour of the English champions when they were awarded another penalty in stoppage time of the first half—this time, Oscar stood up and calmly put it away to double the lead. Smiles were increasing around the ground when Diego Costa turned on the style to finish with a sublime volley, linking with his compatriot after Fabregas lofted ball made it an attempt he couldn't resist, creeping under the bar and making it 3-0. For the fourth and final goal it was simple for the provider, Fabregas, as he rolled it into goal when Remy's shot was stopped. It's just what Chelsea needed, to get the goals flowing and install confidence back in everyone around Stamford Bridge. The German sides enjoyed their European outings as Bayern Munich and Bayer Leverkusen brushed aside Olympiakos and Bate Borisov respectively. Çalhanoğlu was influential for Leverkusen as his brace along with Admir Mehmedi and a goal on Javier Hernandez's first start. Borisov did get a goal in the 4-1 loss, but it was a trail-blazing triumph for Leverkusen in front of their home fans. Thomas Muller came up good with a double of his own meanwhile as Bayern Munich bulldozed Olympiakos in Greece. Mario Gotze also got one in a simplistic and almost routine win for Bayern, who will look to set the pace early among the continent's juggernauts. It may have finished a draw but Gent's fans were rocking after they took a point with just 9-men in their first Champions League group stage match. Lacazette was fantastically denied from the spot and Milicevic's equaliser was clung on to for dear life by the home side. Dynamo Kiev were saved by substitute Buyalskiy as the spoils were shared through a well contested game with Porto, who thought they had won it with Aboubakar's goal prior. Porto weren't used to being restricted like they were on the day, and will hope for a more loose outing next time round. Here's all the action from the second night of the opening round of the 2015/16 UEFA Champions League group stage.